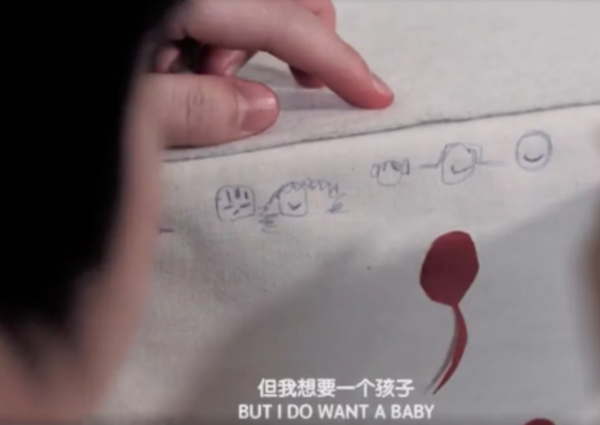 A 27-year-old Beijing woman decided to seek a sperm donor by making a video, after not finding a sperm bank that allowed unmarried applicants. "I'm Alan, I'm 27, I'm a sperm seeker. If you are the one, contact me." 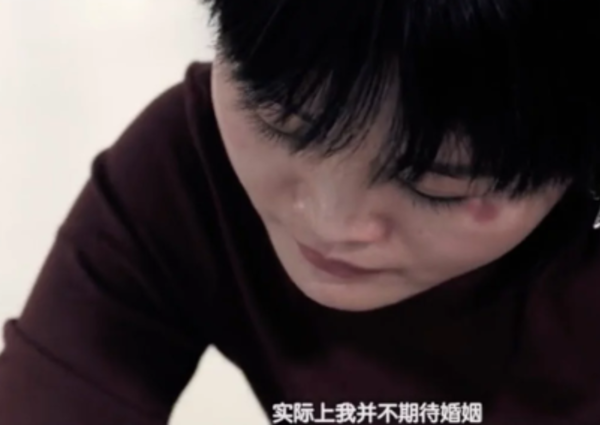 In an online video released on Tuesday, the Beijing-based woman looks into the camera lens, smiling. Her cellphone number flashed on the screen. Since 2017, "Alan" - an online alias - has launched four online personal ads looking for a man to marry, but gradually realised she didn't particularly look forward to marriage. Rather, she enjoys her own company. "I draw, I keep pet fish and grow flowers, I have three part-time jobs, I'm pretty stable," she said. Since she doesn't know whom or when she'll marry, or whether she'll marry at all, she decided to have a child by herself. Barriers to unmarried women in China having a baby legally have been removed in recent years, but there are still hurdles. Until 2016, they faced a heavy fine and obstacles in getting their children a hukou, the household permit that limits Chinese citizens to receiving social benefits, such as health care, in their town of residence. Now, in the face of an impending demographic crisis, the Chinese government is encouraging people to have more children, with some former policy or administrative restrictions on unmarried women having children being removed and the official tone changing. But the Ministry of Health continues to ban unmarried women from being offered medical reproductive technologies such as IVF by Chinese hospitals and agencies, while sperm banks still do not accept their applications. "We are in a background of encouraging birth in general, but there's not enough attention on unmarried birth, or females' freedom in giving birth," Zhan Yingying, a staff at the Guangzhou-based Advocates for Diverse Family Network, told the South China Morning Post. Zhan has called repeatedly for more rights for these women. Last year, she sent letters to members of the National People's Congress ahead of their annual policymaking session, asking them to support introducing a national law that allows unmarried women to freeze their eggs. Unable to find a sperm bank that allowed unmarried women to apply, Alan had the idea to seek her own donor and made her video. Since 2014, the number of couples marrying each year in China has been steadily decreasing. The Ministry of Civil Affairs' most recent data shows that in 2017, 10.6 million couples got married, down 7 per cent from the previous year. Alan hopes to find a man who shares her values, someone who does not want to marry but desires a child, so they can shoulder the economic responsibilities and education of the child as well as companionship. Or, the bottom line: he can just be a sperm donor, and no more. But even if she finds her sperm donor, she might still face societal pressure. Despite growing liberal attitudes and independence among Chinese women, it is still not widely accepted for someone to have a baby on her own. Alan has heard these voices already. "Some people fear that a single mother cannot provide a complete family for the child; some men feel they are not being valued," she said. "Some also believe it's irresponsible to look for a donor online." But she believes there's now a different path for many women, because there are more open discussions about diversity and free choices, including some cases being reported by the media. More people are breaking tradition, she said. This is exactly what Zhan's group has been advocating. She hopes more voices can be heard, more cases can be seen. "Today the situation is different from the past," Alan said. "Today we can have more choices, and our next generation will have even more diverse choices. By then, a voice will say proudly, my mother has fought for this."